A constant supply of professional nursing staff is vital to the delivery of quality health care. The ongoing demands that show no signs of slowing down, according the BLS reports, provide new nursing graduates with a wealth of employment opportunities with excellent earning potential. Licensed Practical Nurses provide bedside care in hospitals, nursing homes, clinics, long-term care facilities, and home healthcare settings under the direction of a registered nurse or physician. They work primarily with patients displaying common health problems with predictable outcomes. LPNs play an active role in the development, implementation, and evaluation of patient care plans. They are advocates of patients’ rights, managers of CNAs and orderlies, counselors to patients and their families, and collaborators with other members of the patient care team. LPN and RN roles often overlap in hospital settings. However, LPNs must operate within the scope of practice, defined by the South Carolina Board of Nursing, and under the guidance of RNs. Practical nursing programs prepare students to care for patients who are acutely and chronically ill. Students learn how to assist with rehabilitation and provide counsel in the prevention of common illnesses. Training combines classroom instruction with laboratory practice and clinical experience in hospitals, nursing homes, and other available health care facilities. Program graduates are eligible to take the NCLEX-PN in preparation for Board licensure and designation as LPNs. It is vital to enroll in a program approved by the South Carolina Department of Labor, Licensing, and Regulation Board of Nursing. Accreditation from the Accreditation Commission for Education in Nursing, Inc. (ACEN) is also beneficial, especially during the job search. The Board of Nursing monitors the academic programs throughout South Carolina to ensure they’re able to produce qualified and informed graduates who can uphold the standards of quality care. Currently, there are fifteen Board-authorized practical nursing programs in South Carolina. Students can choose from schools, such as York Technical College, Trident Technical College, Piedmont College, Midlands Technical College and a few more. Those who intend to pursue further education can transfer their credits to degree programs in the school where they completed the LPN certificate – option available in some schools. Nursing faculty facilitate interactive classroom sessions to stimulate students to learn the complex material and promote critical thinking and sound judgment required for the nursing profession. Debates, classroom discussion, presentations, and role-playing are just some other ways faculty cover topics, such as mental health nursing, pediatrics, geriatrics, medical-surgical nursing, maternal-neonatal nursing, and transition to practice. In most cases, applicants must submit proof of high school or GED completion, COMPASS, SAT or ACT scores or a college transcript, TEAS scores, and completion of prerequisite courses. It is also recommended that you attend the information sessions to learn more about the school’s admission process, requirements for the clinical experience, and graduation requirements. Some schools may use waiting lists to manage the huge volume of individuals who submit applications each year. Duration and Cost of Training: Practical nursing programs may be completed in just 12-months based on full-time attendance. Part-time schedules offer greater flexibility with weekend and evening options, which can last up to 2 years and cost more in the long run. Tuition is an estimated $8,900 and does not include the cost of textbooks, admission fees, clinical supplies, liability insurance, prerequisite courses, lab fees, and transport to and from the clinical sites. Financial assistance may be available through several resources, including Federal loans, Pell Grants, private loans, and scholarships. Contact the school’s financial aid office and fill out your financial aid applications early. Graduate nurses must register for the NCLEX using the form provided online at Pearson Vue or using the toll-free hotline at 1.866.496.2539. The $200 registration fee is payable using a credit card online or over the phone. In addition to submitting a registration request, candidates must file a separate application for licensure with the South Carolina Board of Nursing who will determine the candidate’s eligibility to take the exam based on a review of the application and verification of nursing education. Pearson Vue will issue the Authorization to Test (ATT) after the Board approves. The testing agency will deliver the ATT to the email address you provide during the registration process – it is important to submit an accurate address. Follow the instructions on the ATT to schedule your examination appointment. The ATT expires within 90 days of submission, which means you must schedule and take the test within the appointed time. All requests for special accommodations must go in before the test date, preferably when you submit the application for licensure with the Board. Apart from your notes obtained during the nursing education program and any review booklets used to prepare for the exam, the Candidate Bulletin and ATT are your closest allies. They contain vital information to prepare for the exam and aid your success. Reviewing the information contained therein will also help you to avoid costly mistakes. The Board will receive your results a few days after you complete the exam. They will issue a license as long as you pass the exam and meet all other requirements for licensure. If you fail the exam, a Candidate Performance Report (CPR) will outline your responses to various sections on the exam and highlight your strengths and weaknesses. If you fail the exam on your first attempt, you may retake the exam after 45 days for up to one year from the first attempt. If you do not pass within the first year, you must provide evidence of remediation, approved by the board, before retaking the exam. If you do not pass the exam within three years of graduation, you must re-enroll in an approved nursing program and demonstrate the knowledge and skills of a graduate nurse. South Carolina is a member of the Nurse Licensure Compact (NLC). Therefore, licensed practical nurses in South Carolina and other compact states may practice across state lines using their multi-state license. 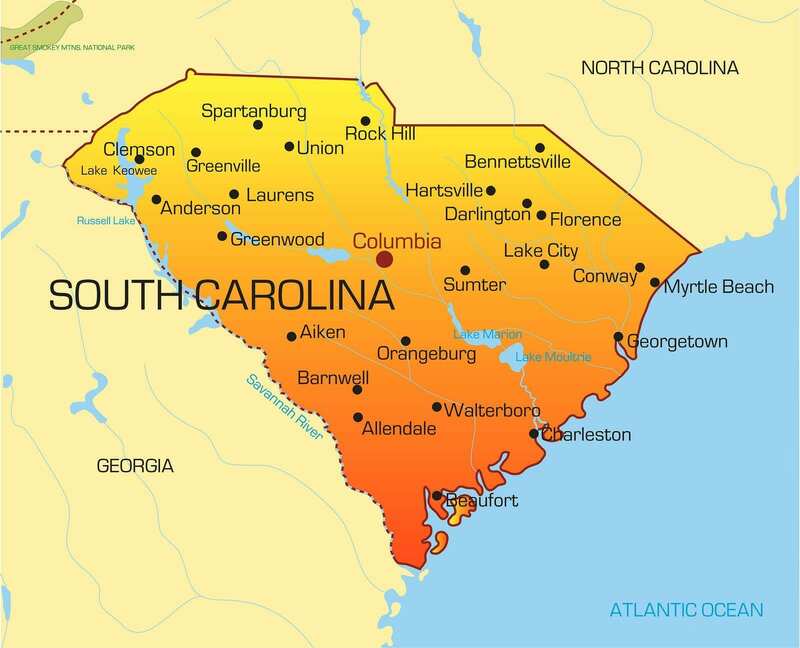 While practicing in South Carolina, nurses with a multi-state license must adhere to the laws governing practice in South Carolina. All applicants for licensure must declare South Carolina as their primary state of residence and provide proof of such a declaration using a driver’s license, federal income tax return, voter registration card, military form, or W2 from the US Government. In accordance with SC Code of Laws, applicants for licensure must provide a social security or alien identification number for reporting to specific agencies and establishing, enforcing, and collecting child support obligations. A criminal history check is also a necessary part of the application process. All applicants must furnish a full set of fingerprints to facilitate the criminal history check conducted by the State Law Enforcement Division (SLED) and the Federal Bureau of Investigation (FBI). Identogo/MorphoTrust is the agency approved by the Board to conduct the criminal history check. Candidates can visit Identogo online or call 1-866-254-2366 to schedule an appointment. The application for the licensure exam is available online. Applicants must scan and submit the following documents with the online application or mail to the Board’s address provided below. A current 2” x 2” full face, passport photo that is signed and dated. A copy of your birth certificate or passport. A copy of your social security card, resident alien identification card (for a resident alien with no social security number), or a permanent resident card. Legal documents authorizing your name change if your name changes. Verification of your nursing education in the form of an official transcript from the Dean or Director of Nursing. The transcript should reflect your graduation date and the degree conferred. Attach an explanatory letter and official court documents for any “yes” responses to the disciplinary actions/criminal history question. A full set of completed fingerprints sent directly to Identogo/Morpho Trust from the fingerprinting agency. The application fee is $70 payable via cashier’s check, money order or personal check. Submit an official transcript mailed directly from the school to the SC Board of Nursing. The transcript should include your graduation date, degree awarded, courses completed, the registrar’s signature and school seal. Your results from TOEFL. Foreign applications must take and pass the TOEFL exam. The average processing time for applications is 14 business days. You can track the status of your application online. Nurses licensed in a non-compact state may practice in South Carolina after obtaining a temporary permit or license to practice through endorsement. A copy of your nursing license from another state or jurisdiction. Proof of residency in South Carolina – driver’s license, voter registration, or state-issued identification card. Verification of your license from the state of original license. Use the Verification Form or process your verification online at Nursys. Verification of your nursing education in the form of an official transcript from the Dean or Director of Nursing – if your education is not included on the License Verification Form. The transcript should reflect your graduation date and the degree conferred. The endorsement fee of $100, or $110 if applying for a temporary permit. Pay with a cashier’s check, money order, or personal check payable to LLR-Board of Nursing. Applicants must provide evidence of continued competency before obtaining a temporary license. The Board will process the application within 10 business days of receiving all the required documents. The application will remain open for one year; application fees are non-refundable. The license expiration date for South Carolina LPNs is April 30 of even-numbered years. It is the licensee’s responsibility to renew on time. Address change request must be submitted within 15 days of making the change. The renewal fee for LPNs is $50. Employer certification of practicing as a licensed practical nurse during the licensure period. Across the state of South Carolina, there’s been repeated calls for licensed professional nurses. These highly prized professionals, along with registered nurses, form the basis of the nursing care staff at hospitals, clinics, physicians’ offices, nursing homes, and home health care teams. While there has been some shift in the demand for LPNs at hospitals, the need for their direct care services in long-term care has never been greater. According to figures from the Bureau of Labor Statistics, the nursing industry is growing tremendously in response to demands for senior care and the overall general need for quality professionals to address the needs of society. The dedicated women and men who make up this labor force complete at least one year of intensive training in nursing fundamentals and specialized services. Many use the career path as a starting point for continued education to become Registered Nurses. The demand for RNs in hospitals is greater than LPNs, so there are definite incentives for continuing on with a degree program. However, the short-term requirements for becoming an LPN offer a great incentive for anyone who wants to begin a rewarding career in the shortest possible time. South Carolina’s LPNs earn a fair salary. Among the state’s 9,470 workers, the annual salary in May 2014 was $39,000, which is on par with the national average. Newly licensed nurses can expect to find a job within 6 to 8 months of licensure and earn a starting salary of $36,500 per year. Keisha Terry Hardy here’s what I was talking about! Ashlee L Smith Here you go! Whats the point in getting your LPN. Most Hospitals wont hire LPN’s and many are requiring ADN’s to get their BSN or get fired. Just giving you a heads up as an ADN nurse. Just go for the higher degree it will pay off in the end! Good luck!!! Most LPN’s work in Nursing Homes or doctors office. I understand as well. Im an LPN of 14 years currently in school for my A.D.N. But it’s how you say things. Also there are still some hospitals that hire L.P.N.’s and LPN have just as much oppurtunity in the workforce as an R.N. I would encourage anyone who wants to pursue further to do so. But i would never say “what’s the point” to any level of higher education a person choose to achieve. You still want to go (Teresa Spears)? Gerrie Gann Gary, yes u need a and degree now to work most hospital so I have decided to return for my associate. Nursing is making a difference. .I thought I could make a difference but I cannot tolerate what comes, with being a nurse. Oh well..